Our guide to Houston will help you find the best budget hotels in Houston Texas. Houston is the fourth-largest city in the United States, the largest city within the state of Texas, and "the energy capital of the world." In the mid-twentieth century, Houston became the home of the Texas Medical Center—the world's largest concentration of healthcare and research institutions—and NASA's Johnson Space Center, where the Mission Control Center is located. Houston is a multicultural city, in part because of its many academic institutions and strong industries. Houston has an active visual and performing arts scene. The Theater District is located downtown and is home to nine major performing arts organizations and six performance halls. There are tons of great budget hotels in the city of Houston, our city guide will help you find the best budget hotels. You may have a hard time deciding what to do in Houston, but we make your decision easy. 10137 N Fwy, (832) 554-5000 - La Quinta Inn & Suites Houston North is a budget hotel / motel / resort located in Houston TX. 1016 Maxey Rd, (713) 455-8888 - Comfort Inn Houston is a budget hotel / motel / resort located in Houston TX. 10521 E Fwy, (713) 670-9100 - Best Western Heritage Inn is a budget hotel / motel / resort located in Houston TX. 11230 SW Fwy, (713) 455-8888 - Comfort Inn Houston is a budget hotel / motel / resort located in Houston TX. 1150 Eldridge Pkwy, (281) 293-8787 - Residence Inn Houston West/Energy Corridor is a budget hotel / motel / resort located in Houston TX. 11611 NW Fwy, (713) 290-1740 - Best Western Northwest Inn & Suites is a budget hotel / motel / resort located in Houston TX. 12701 N Fwy, (281) 876-3888 - Comfort Inn-Greenspoint is a budget hotel / motel / resort located in Houston TX. 13371 FM 1960 Rd W, (281) 807-4007 - Best Western Windsor Suites is a budget hotel / motel / resort located in Houston TX. 1340 N Sam Houston Pkwy E, (281) 219-9100 - Homewood Suites HOU is a budget hotel / motel / resort located in Houston TX. 13900 Main St, (713) 723-3770 - Economy Inn is a budget hotel / motel / resort located in Houston TX. 1400 Old Spanish Trl, (713) 796-1000 - SpringHill Suites Houston Medical Center/Reliant Park is a budget hotel / motel / resort located in Houston TX. 14753 N Fwy, (281) 873-7594 - Best Western Greenspoint Inn and Suites is a budget hotel / motel / resort located in Houston TX. 15111 Katy Fwy, (281) 646-0056 - Fairfield Inn Houston I-10 West is a budget hotel / motel / resort located in Houston TX. 15313 Gulf Fwy, (281) 922-4054 - Suburban Extended Stay Hotel is a budget hotel / motel / resort located in Houston TX. 15400 John F Kennedy Blvd, (281) 449-4148 - Hilton Garden Inn Houston is a budget hotel / motel / resort located in Houston TX. There are plenty more budget hotels in Houston. 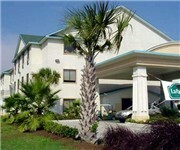 See all budget hotels in Houston Texas.